The Added Qualifications program will begin by first offering courses in Scaling Scrum Fundamentals. Those interested in earning an Added Qualification in Scaling Scrum Fundamentals will need to hold at least one of two foundational certifications, Certified ScrumMaster® or Certified Scrum Product Owner®. More information can be found on the Scrum Alliance Added Qualifications page. Through World Mindware, we will be introducing courses over the next months to help you achieve these new Added Qualifications. My heartfelt congratulations on this important and historic event! Scrum is one, again! Dr. Jeff Sutherland and Ken Schwaber created Scrum and authored “The Scrum Guide” to ensure Scrum remains true to its core principles and values. The explosive growth of people and organizations using Scrum in recent years has led to some market confusion as to the precise definition of Scrum. The preeminent certifying bodies, Scrum Alliance and Scrum.org, coming together in support of a common definition of Scrum is a win for Scrum practitioners around the world. 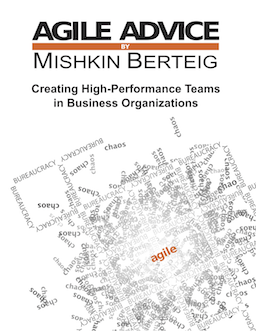 “The pieces of Scrum are carefully fit to each other to yield the best possible results. This has taken years for Jeff and myself to achieve. Watch for new versions as we continue to refine,” said Ken Schwaber, founder of Scrum.org. One of our big plans this summer is to have a selection of advanced Scrum and Agile – related training courses. We are delivering some of them ourselves, but we are also bring in outside experts for others. Our schedule for these events will be finalized in the next few weeks. If you are interested in any of these courses, please pre-register here. Pre-registration will give you a guaranteed spot and a discount of 10% above and beyond the early-bird registration price.